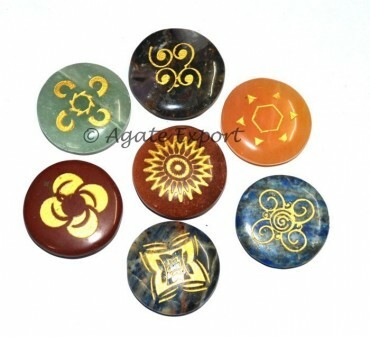 The stones of Seven Chakra Accent Set are beautiful and symbols engraved on them are eye-catching. You can use these stones during meditation, reiki or other energy works. The set is available on Agate Export at a fair price.